A series of folk stories from different parts of India, retold in a contemporary style while retaining the flavour of oral storytelling. The illustrative style of each book is adapted from a traditional art form of the place from where the story comes. A story of Kalia, a poor cobbler and a ghost who helps him earn lot of money, but must be always kept busy, with illustrations in Madhubani style. 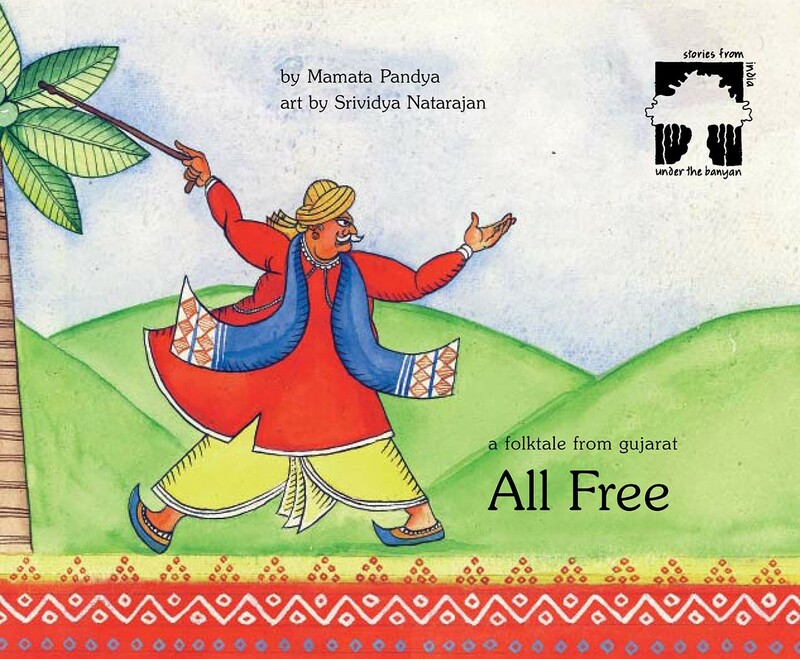 This hilarious folktale from Gujarat follows miserly Bhikhubhai's desperate attempts to get himself a coconut — all free! 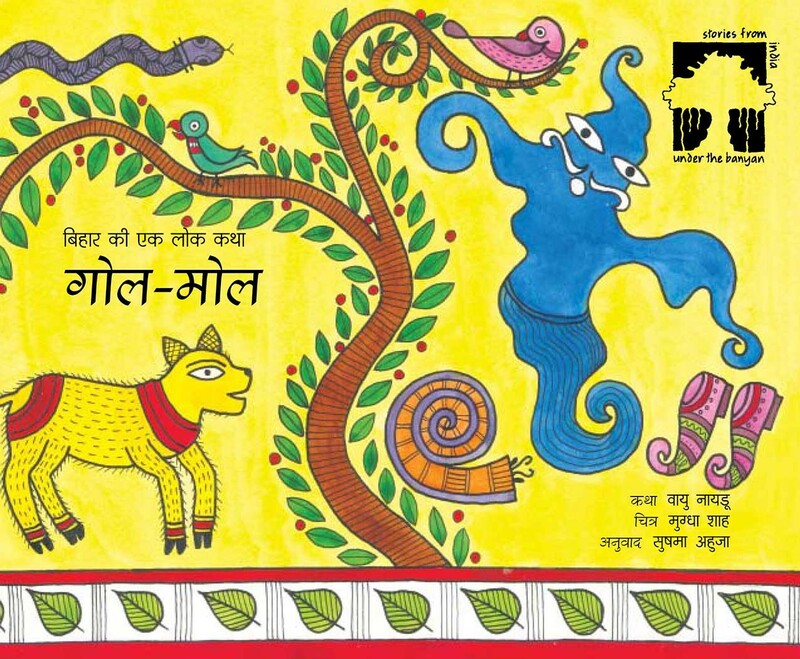 Pictures in the book are based on the stylised painted paper scrolls used by Garoda storytellers in northern Gujarat. 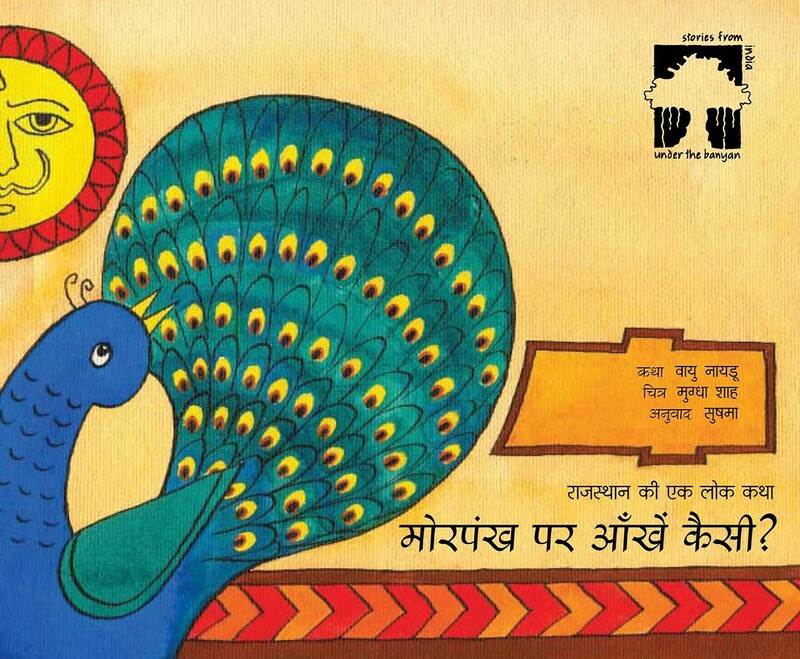 With illustrations adapted from the traditional parh paintings, this is a story from Rajasthan about how the peacock got "eyes" on its tail. A bad tempered snake learns the secret of life from a wandering monk. 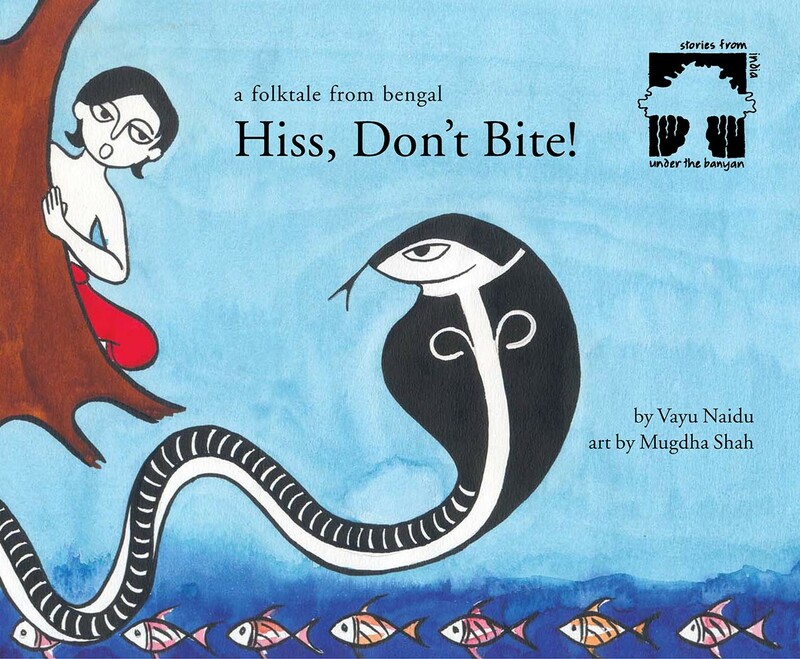 The charming, evocative drawings are adapted from the Kalighat style of painting popular in Bengal. A poor playwright in search of a job loses his way in the jungle and falls asleep under a tree…. 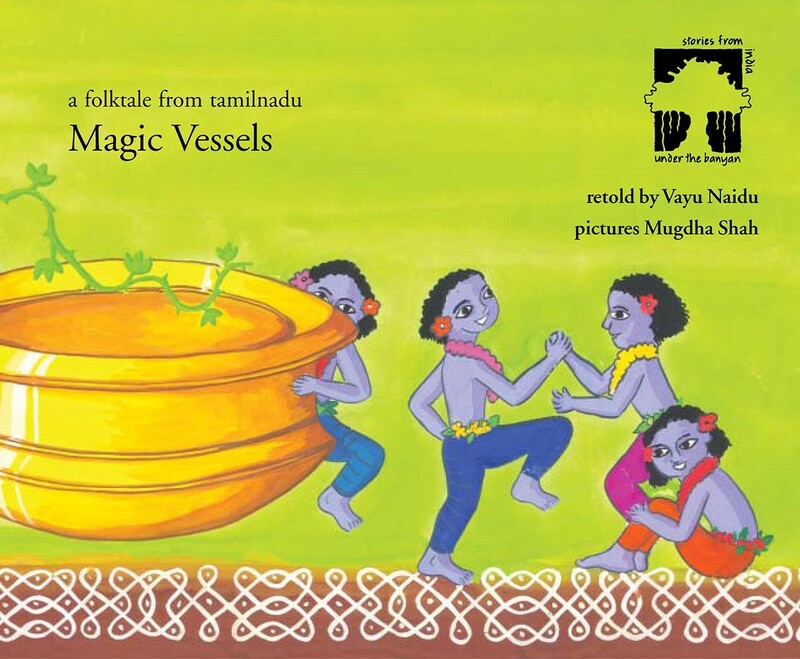 A story from Tamilnadu with pictures in the Ayyanar style. Nazneen carefully cooks some fragrant marzwangan kurma for a special family dinner. But just when it is all ready, guests arrive. 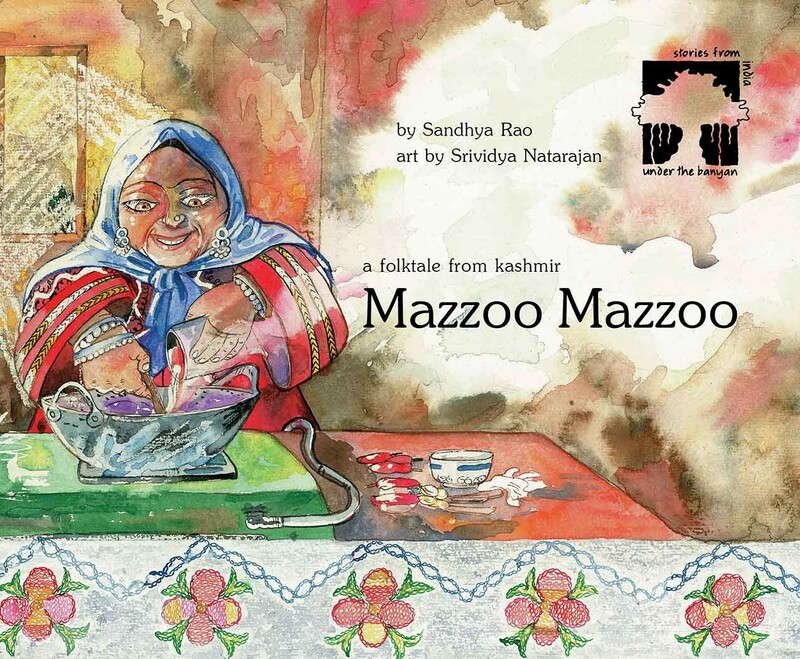 The illustrations use traditional Kashmiri embroidery motifs to provide ambience for the story. 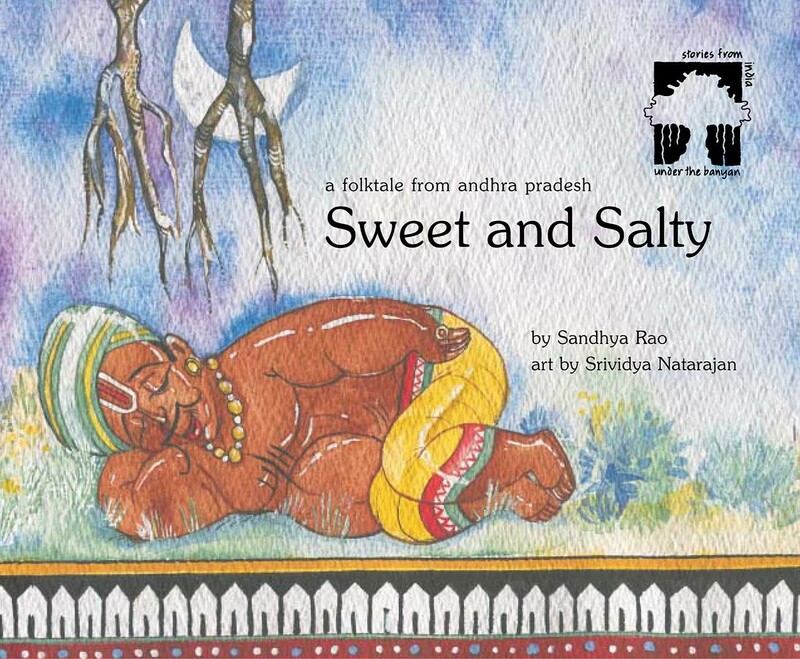 A gentle folktale from Andhra Pradesh about the magic of stories with illustrations derived from the style and colours of Kondapalli toys of Andhra Pradesh. 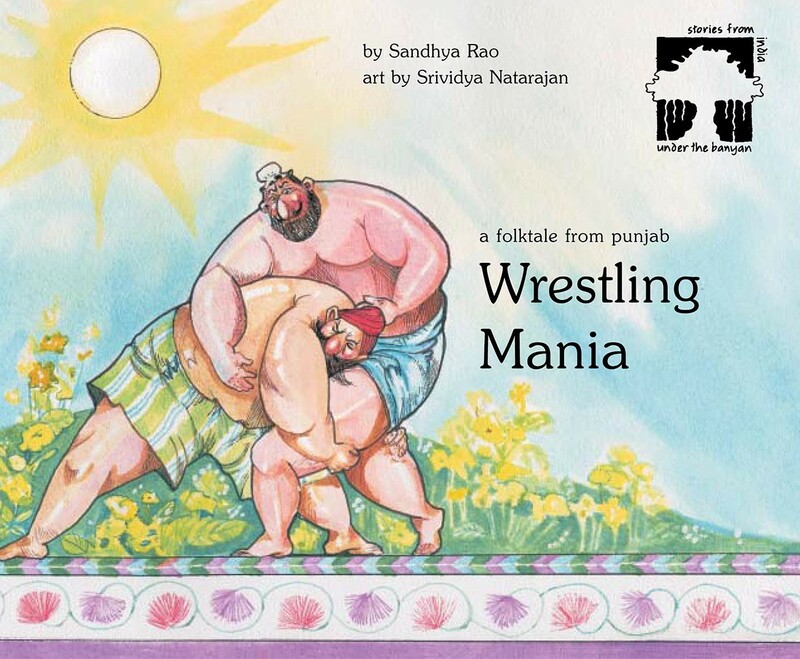 Big, burly Tarlochan is a champion wrestler, eager for some real challenge. 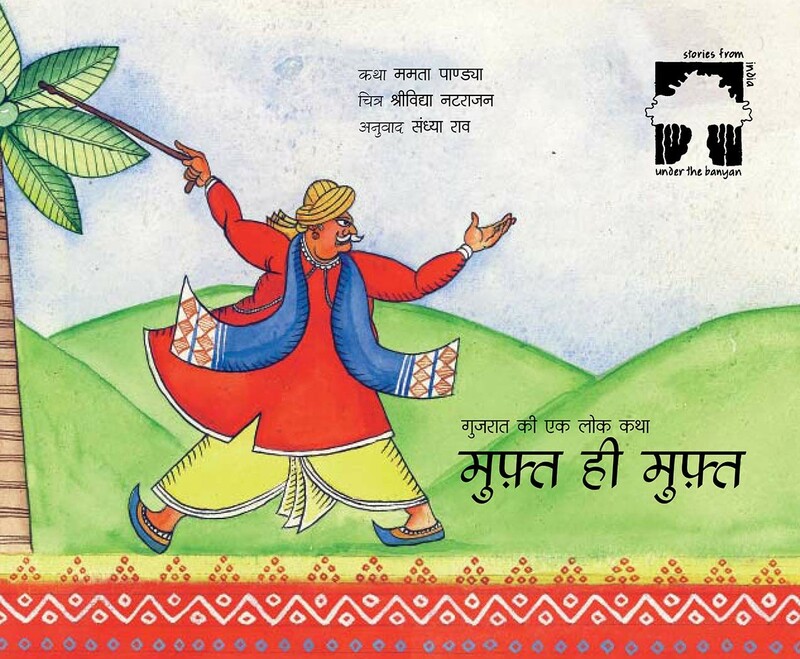 The pictures for this robust folk fantasy from Punjab imbibe the spirit of its fun-loving feisty people. Phulkari, 'flower-work' embroidery typical of Punjab, adds richness to the illustrations.